Mumbai is filled with watering holes. So much that every locality is basically split into groups debating over their own tastes and choices. Andheri, Bandra, Juhu, Worli, you name it. These guys are everywhere. Wondering what we’re talking about? We’re talking about gastropubs. The place that makes for the perfect combination of drinks with some mouth-watering recipes, giving you the best of both worlds. What appears to be a hole in the wall from the outside is a place with all the hustle and bustle when it comes to the food, mood, music and drinks. True to its name, you’re sure to find a very homely feel to it. Head here for their live jam sessions and karaoke nights and make sure to bring your friends along. Not one, not two, but with 5 outlets across the city, BBC as it’s known in drinking circles is spreading joy, booze and food in Marol (Andheri East), Goregaon, Thane, Vashi and Dombivali. No matter which place you go to, you’ll be spoiled for choice; just by looking at their long list of liquor menu. Do not forget to try out the Whisky Sour and Fresh Fruit Martini along with their vodka golas. Let’s not get started about their food, for they sure leave you with ample food for thought. If you’re thirsty and looking for a drink, always remember that the TAP in Juhu, Andheri West, Marol (Andheri East), and Bandra is always there to wet your beak. 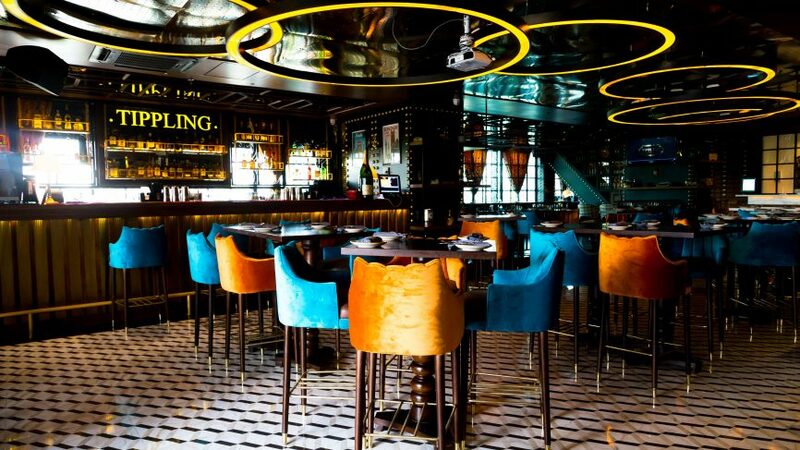 What is consistent at any of their outlets is their beautiful ambiance and stunning interiors. While you might be amazed at how well-stocked their bar is, do not forget to make the most of their lip-smacking food. So while the bar prepares your drink with the utmost perfection and presentation, you’re surely going to have a tough time deciding between the best of burgers, sizzlers and platters. At the Glocal Junction, you can be sure of the mouth-watering cuisine, elaborate bar menu, decked up interiors and exquisite ambiance; all in place to provide you a top notch experience. You’ll be amazed that how this gastropub blends the global and local elements together perfectly. Using a perfect mix of global cuisines with a twist of regional flavour, the avid foodie can’t ask for more. When it comes to the drinks, you are sure to love the desi style given to their bar menu. Head right now to either the Andheri or Worli outlets and you’ll see what we’re talking about. 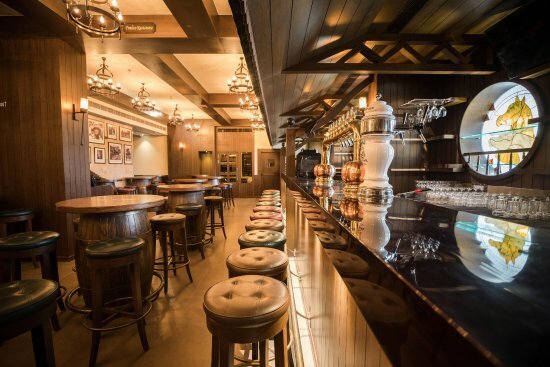 This gastropub in Mumbai’s Juhu area pays a hat tip to the best of London, drawing inspiration from the heritage building in the UK capital. If the food and drinks weren’t enough, wait till you see the view of the sea from its balcony. A special mention goes out to their fine dining section adjacent to the pub that transports you to the early 1900s Britain, with its use of upholstery and patent leather lining. There’s a lot to like about The Stables. Where do we begin? To start with, this equestrian-themed Dubai import is likely to make you think of Gallops. You’ll see one end of the wall with jockey photos while stained-glass horse portraits call for attention on the other. Coming to booze and food, the place has eight taps for draught, including those of Bira, Erdinger, Hoegaarden and Stella. Their Oscar Sangria, a goblet that concocts wine, brandy and gin into a heady mix, is a clear winner. As far as eating is concerned, the finger food sure is a palate pleaser. The bar staples won’t leave you disappointed but wait till you see size of their platter. 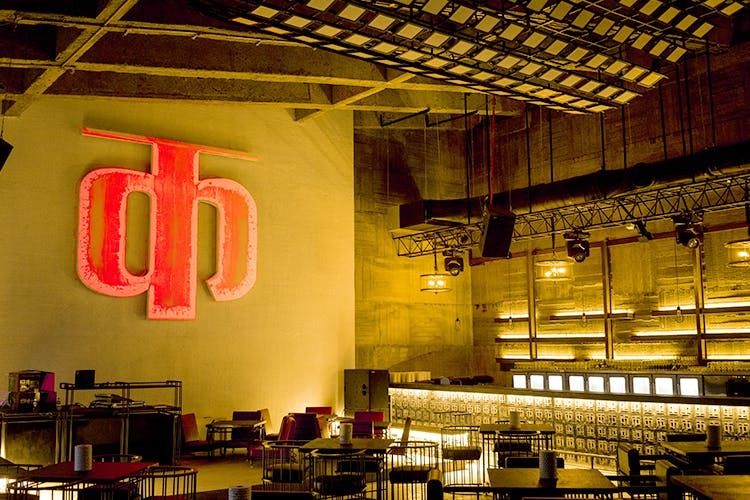 This is the perfect place to chill and party with your gang, get a few drinks and dance the night away. You might want to turn up to this place early, as it gets pretty packed as the night goes on. On the bright side, the food is simply finger-licking good and for beer lovers – you’d be happy to know that they brew their own beer too. 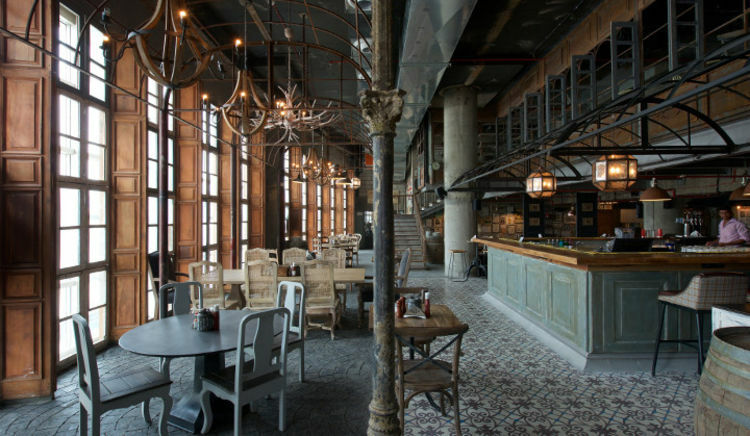 So head right here if you’re in the mood to have the ultimate gastropub experience in Mumbai. Stop thinking, just keep on drinking.